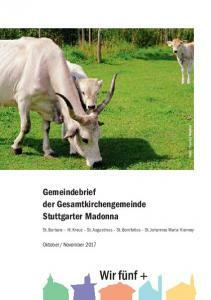 MADONNA NOW CELEBRATING 75 YEARS PRESIDENT S REPORT The Magazine of Madonna University. Diamond Anniversary celebration! Annual Report. Celebrating 30 Years of Service! CELEBRATING 75 YEARS Diamond Anniversary celebration! It’s a Madonna Birthday Party! Scholar-Am Classic Bring your family to meet ours! Join us in celebrating 75 years! Save Saturday Sept. 22, 2012 for birthday cake and fun for all ages. See our new labs, tour our beautiful campus, play games and win prizes! Free! Friday, September 14, 2012 Western Golf & Country Club Redford, Michigan Golf with a scholar, i.e. student-athlete, dean, professor, administrator and raise funds for student scholarships! We will post memories on the anniversary website blog (madonna.edu/75years) and include them in an upcoming Madonna Now. Please indicate your choice of gift: an alumni t-shirt, two stadium seats, a stadium blanket or a business card holder We’ll get it right out to you! The Success of a Teaching Garden Madonna Moments People Praises Honor Roll of Donors University Leaders Select Statistics Sports Shorts Beyond the Pond Why Madonna? Madonna University Biology Labs then and now — 1943 and 2011. 1 - His Excellency The Most Reverend Archbishop Allen H. Vigneron, honorary Jubilee committee chair, gave the invocation at the Diamond Jubilee. 2 - A special toast for Madonna was made by Sr. Mary Barbara Ann Bosch, minister general of the International Felician Congregation. 3 - The Madonna Chorale, led by Dr. David Wagner, involved the guests in singing the University song, and brought everyone to their feet with Handel’s “Hallelujah Chorus.” 4 - Sister Rose Marie Kujawa, president, honored Bill and Florence Remski of Plymouth; six of their seven children graduated from Madonna. MADONNA 1937: Presentation of the Blessed Virgin Mary Junior College (forerunner of Madonna College/University) founded for the education of the members of the Felician Sisters. 1959: Initial accreditation for 10 years by the North Central Association – Higher Learning Commission. 1975: Sign language program started. 1962: Curriculum expanded to include a four-year degree program in Nursing; initial approval by the State of Michigan Board of Nursing. 1976: Development Office established. 1947: Charter amended to establish fouryear liberal arts college and name changed to Madonna College. Pre-professional programs offered in Teaching, Medical Technology and Social Welfare. First lay women admitted. 1948: First baccalaureate degrees granted (nine Felician Sisters graduated.) 1951: Graduation of first five lay women. 1978: Career Resource Center established. 1965: Dedication of the new campus including the Resident Hall for students and a wing for religious faculty; completion of the main Academic Building. 1984: Dedication of a $4.5 million new library, lecture hall, classrooms and related facilities. 1967: First Honorary Doctorate awarded posthumously by Madonna College to Mother Mary DeSales Tocka, foundress of Presentation Junior College. 1972: Accreditation of the Teacher Education program by the National Council for Accreditation of Teacher Education. 1954: Approval by the Michigan Board of Education for teacher certification. 1982: First master’s programs offered in business and nursing. 1987: Crusaders athletic program launched with women’s volleyball team. Men admitted to degree programs. Curriculum expanded to include these majors: Criminal Justice, Radiologic Technology, Legal Assistant, and Fire Protection and Occupational Safety. Educational Development Center completed to house Center for Personalized Instruction, Children’s Learning Center, Department of Education and Psychology and Resource Development Department. 1995: Acquired the Maertens Building through a generous $1 million donation by John and Elizabeth A. (DeSeranno) Stevens and Aline DeSeranno to house the School of Business and Continuing Education. 1989: With a generous gift, Michael McManus Jr. established the McManus Distinguished Business Lecture Series to honor his entrepreneurial father Michael McManus Sr. Dedication of the Office of Multicultural Affairs to recruit, support and retain minority students. Equipped a distance learning classroom enabling the University to offer courses via two-way interactive video instruction to any location across the world. 1996: First U.S. school to offer graduatelevel certificate and master’s in Hospice. 1997: Initiated the first Catholic School Leadership graduate degree in Michigan in cooperation with the Archdiocese of Detroit and Sacred Heart Major Seminary. Delivered Social Work courses by distance education in Gaylord, Mich. 1998: Initiated a joint MSBA program between Madonna University and the Shanghai Institute of International Finance. Began offering first graduate courses in Taiwan for master’s degrees in Educational Leadership and Business Administration. 1991: Madonna College renamed Madonna University. 2000: Approved new master’s degree programs including Teaching and Learning, Clinical Psychology and Teaching English to Speakers of Other Languages (MTESOL). 2002: Sister Rose Marie took the official oath of office at her Inauguration on April 20. Teacher Education receives maximum accreditation for seven years from the National Council for the Accreditation of Teacher Education (NCATE) after an outstanding site visit. 2004: Began offering graduate degree in Pastoral Ministry, and undergraduate degrees in Sport Management and Forensic Science. The first 10 students in the SWEEP (Southwest [Detroit] Educational Empowerment Program) graduated with majors in Social Work. Received $450,000, three-year grant for SWEEP from Thompson Foundation. Volleyball Coach Jerry Abraham inducted into the National Association of Intercollegiate Athletics (NAIA) Hall of Fame. 2001: Sister Francilene Van de Vyver, CSSF, steps down and Sister Rose Marie Kujawa, CSSF, became the sixth president. Acquired the Angelo DiPonio Building through a generous $1.2 million donation by the Angelo and Margaret DiPonio foundation to house the Division of Nursing and Health. 2005: Organization of the DeSales Lifetime Giving Society, in honor of Mother Mary DeSales, founder of Madonna University in 1937. 2006: Established Madonna University Foundation Board. Ford Motor Company Technology Wing was built. 1992: Initiated the first Hospice program in the country. Restructured academic divisions into: College of Arts and Humanities, School of Business, College of Nursing and Health, College of Science and Mathematics, College of Social Sciences. Approval of seven-year $50 million Comprehensive Campaign “Leading the Way.” 2007: Welcome Center at the Orchard Lake Center renovated. 1993: Established the Center for International Studies. 2008: Baroness Caroline Cox, deputy speaker of Britain’s House of Lords awarded the Crystal Madonna for her global humanitarian service. First Doctor of Nursing Practice degrees conferred. Moved SWEEP program to new location at 5716 Michigan Avenue. Hosted first Project Accessible Hollywood (PAH-Fest Motown) digital movie-making festival. 2009: Dedication of the Franciscan Center for Science and Media. Initiated distance learning bachelor’s degree in business and leadership in Haiti, supported by funding from the Felician Sisters of North America. Conferred degrees upon the first class of 60 students in Jinan, China to complete the Executive MBA program in Hospital Administration. Dave Bing, Chairman of the Bing Group of Companies, was guest lecturer for the McManus Distinguished Business Lecture, pictured here with Bill Harahan, vice president of operations for Header Products Inc., Sister Rose Marie Kujawa, Madonna president and Michael McManus, Jr., founder and CEO of Header Products Inc. Dedicated the Edge of the Channel sculpture created by Madonna Art Department Chairman Doug Semivan. 2011: Began construction of the Nursing Simulation Lab and a new Sign Language Studies Lab. Completed construction of new soccer field/ athletic complex at Newburgh and Five Mile Roads. Freedom Shrine Arrives Madonna was the first University in Western Wayne County to receive the Freedom Shrine, a collection of 30 reprints of historical documents vital to the making and understanding of the United States; including the Bill of Rights, the Mayflower Compact, the Declaration of Independence and the U.S. Constitution. These documents serve as a reminder of the principles on which this country was built. Roger Crownover, chair of the History Department said, “The Freedom Shrine helps our students to understand that such ideals as human rights come from God, not man, and that people had the right to determine their own fate and not be dictated to by tyrants.” Sponsored by the National Exchange Club, the Shrine was brought to Madonna through the Livonia Exchange Club. The Exchange Club of Livonia has placed the Freedom Shrine in all of the Livonia Public Schools, Ladywood High School, Westland Lutheran High School, Catholic Central High School in Novi, and most recently at Novi High School. “The Freedom Shrine puts before young Americans proof that the freedom and greatness we enjoy today were not purchased easily and reminds them that these gifts must be cherished and protected,” said Jim Rozelle, president of The Exchange Club of Michigan. Honoring Alumni Leaders Several alumni who have served or currently serve as chiefs of police and directors of public safety came back to campus for the dedication of the re-built Criminal Justice Alumni Wall of Honor. Now in its 40th year, Madonna’s criminal justice program has established a strong tradition of training future leaders. The wall highlights the many chiefs and high-ranking law enforcement officials that have graduated from Madonna University over the years. “The Wall of Honor was established several years after the criminal justice program began in 1972 as more of our graduates were promoted. Every year we would add more pictures to the wall. We reached the point that we needed to expand and re-build it,” said Barry Sherman, chair of the criminal justice program. Support for McManus Lectures Sister Rose Marie Kujawa accepts a $50,000 check from William Harahan, president and CEO of Header Products, and J. Rodney Guest, Header Products CPA and controller, as continued support for the McManus Distinguished Business Lecture Series. Launched in 1989, the free lectures are held each March and October. Articulation Agreement Sister Rose Marie Kujawa, Madonna president, and Conway Jeffress, Schoolcraft College president, sign articulation agreements that help provide a seamless transition for students transferring to Madonna after having earned an associate degree at Schoolcraft. The latest agreements outline a transfer path for Schoolcraft graduates from such programs as business, child care, criminal justice, computer graphic technology, culinary arts, fire science and homeland security. Updating the wall coincides with the University’s 75 birthday and, coincidentally, with the promotion of two Madonna alumni to the top spots in Livonia’s police department. (see page 10) “The numerous chiefs on the wall represent many communities throughout Michigan and some in other states. Of Madonna’s many distinguished alumni is retired Livonia Police Chief Robert Stevenson who was recently appointed Executive Director of the Michigan Association of Chiefs of Police. Retired Police Chief David Harvey of Garden City is now the Executive Director of the Michigan Commission on Law Enforcement Standards. Both of these individuals are presently members of the Madonna University Criminal Justice adjunct faculty,” Sherman said. Madonna Goes Blue for Autism Awareness Some 50 students, faculty and staff gathered in front of Kresge Hall, April 2, for a special lighting ceremony. As part of the national autism awareness campaign, the façade of Madonna’s Main Academic Building was lit blue and will remain that way throughout the month of April. Likewise the background color will be blue for messages posted on the marquee at the corner of Schoolcraft and Levan Roads. Sister Rose Marie Kujawa welcomes Gov. Rick Snyder to the new home for Madonna’s Southwest [Detroit] Women’s Educational Empowerment Program, SWEEP, now located at 5716 Michigan Ave, in the Family Wellness Center in Detroit. Madonna graduate students Scott Draper, Jeremy Quinn, Dina McMullen, and Michael Harhold were instrumental in helping Corner Pieces, a non-profit in the Upper Peninsula, convince the Mackinac Bridge authorities to light the bridge blue as part of the Light it Blue Michigan autism awareness campaign. The students’ marketing plan helped raise $7,500, which was needed to pay for the cost of changing the light bulbs on the iconic five-mile long bridge. Working with Corner Pieces, the team also secured participation in the Light It Blue Michigan campaign by the GM Renaissance Center, Motor City Casino and the DTE Energy Building. In what has become a tradition at the beginning of classes each fall, more than 150 first-year students lined up to create the Madonna M with the flame near St. Francis Pond. Adjunct faculty member Christopher Coppola shares his movie-making experience with PAH-Fest participants and students from Vanguard, a Detroit organization. PEOPLE PRAISES Domzalski Honored Andrew Domzalski, director, ESL & MATESOL was voted presidentelect of the Michigan Teachers of English to Speakers of Other Languages, at their annual conference in October 2011. “Not only is this honor a tribute to Andrew’s personal contributions to the organization as both a scholar and a leader; it brings positive, state-wide recognition to Madonna University and its program,” said Katie O’Dowd, dean of the College of Arts and Humanities. As president, Domzalski will host the group’s 2012 conference on Madonna’s campus. “Another great opportunity to show off our campus, facilities and programs,” O’Dowd added. Star Accomplishment Chuck Derry, director of the broadcast and cinema arts program, was elected to the Board of Governors for the national Academy of Television Arts and Sciences, Michigan Chapter. Alums achieve high ranks in Livonia’s police department The Livonia Police Department promoted three Madonna University criminal justice alumni to high-level positions. Captain Ron Taig, ’95, Chief Curtis Caid, ’91 and Deputy Chief Ben McDermott, ’93, were ceremoniously installed into their new jobs January 10, 2012. Ron Taig, left, Chaplain Sr. Ann Stamm, Chief Curtis Caid, and Deputy Chief Ben McDermott. Beloved Benefactor Passes Frank Padzieski • October 4, 1908-January 3, 2012 Born in Erie, Penn., Frank Padzieski died in Dearborn, Mich., January 3, 2012, at 103 years of age. A man of great faith, Mr. Padzieski shared his surplus to support Catholic and Polish organizations and projects throughout the metropolitan area. Members of Madonna University’s DeSales Lifetime Giving Society, Frank and his wife Mary, who passed away in 2004, gave hundreds of thousands of dollars to the University over the years, so that students had access to a Catholic education. Sister Rose Marie Kujawa, Frank Padzieski, and Cardinal Adam Maida at a special dinner following the dedication of the Franciscan Center. When the Franciscan Center was complete, Mr. Padzieski, at 101 years of age and dressed in a St. Mary’s Orchard Lake alumnus sweater, visited the science labs he named in honor of his parents, Joseph and Antoinette Padzieski, and wife Mary. His generous support of the Franciscan Center was a way for him to touch the lives of young people, witness to his faith and lift up his Polish roots. His legacy of giving will live on in the hearts of Madonna faculty and students. Marci Lennox, a student whose dual major is sign language studies and social work, was named a 2012 Newman Civic Fellow by Michigan Campus Compact. The award honors student leaders committed to creating lasting change. It is named for Dr. Frank Newman, one of Campus Compact’s founders, who was a tireless advocate for the role of higher education in preparing students for active and engaged citizenship. Making the Honor Roll For the fifth straight year, Madonna University has been named to the 2012 President’s Higher Education Community Service Honor Roll by the Corporation for National and Community Service. According to the Corporation for National and Community Service, the Honor Roll recognizes higher education institutions that reflect the values of exemplary community service and achieve meaningful outcomes in their communities. During the 2010-2011 academic year Madonna students delivered more than 27,000 hours of community service in a variety of settings, including academic service-learning, clinical placements, community-based internships, community service, and academic research. The award represents the collective impact that Madonna’s dedicated faculty, staff and students have on the community. Technology into Writing-Intensive Courses, was presented by eight faculty and staff at the 62nd annual Conference on College Composition and Communication in Atlanta, GA. Presenters included Kathleen Edelmayer, Frances FitzGerald, Marian Gonsior, Neal Haldane, Ellen Harcourt, Beth Hoffman, Qolette Jackson, and Ann Russell. Deo Gratias with Donors Some 200 loyal Madonna donors were honored at Deo Gratias in December. Ernest Nolan, provost and vice president for academic administration served as the emcee. Board Chairman Robert Sajdak spoke to the group about how valuable their gifts are to the University, and how so many students and programs benefit from their generosity. Sr. Rose Marie Kujawa presented awards to longtime donors at the Mother Mary DeSales Lifetime Giving level, while Andrea Nodge, vice president for advancement recognized members of the President’s Cabinet and donors with consecutive years of giving. Special Diamond Crusader Awards were presented to Mr. and Mrs. Hilary and Beverly Gross, Sr. M. Virginis Musielewicz (pictured above), and the Honorable Timothy and Mrs. June Kenny, for their many years of loyalty and leadership. In celebration of Madonna’s 75th anniversary, all guests received a diamond-shaped glass ornament. The guests were entertained by the beautiful singing of Madonna music students, Brittney Matthews-Dimmitt, and Aaron von Allmen. PRESIDENT’S CABINET Honors those donors who made gifts of $1,000 or more during the past fiscal year. Corr Family Foundation Costco Store #341 Beatrice Czenkusz ‘56 Norene Barton Daly ‘67 Mary Ann Daniel ‘60 Julia DeDecker Doc’s Sports Retreat Patrick & Joan ‘73 Duggan Bruce & Lisa Eck Jack & Senie Engebretson Daniel & Ruth Ann Ewing Elaine Ewing ‘59 Peter & Miriam Fabien James & Carol Ann ‘95 Fausone Richard Fitzsimmons ‘80 & ‘95 John & Carolyn ‘97 Fosselman Karl & Marilynn ‘90 Goering Hilary & Beverly Gross Carol Hofer ‘70 William ‘76 & Suzanne Hoff Charles & Tess Horkan Urban & Maryane Hubert Betty Lou James ‘74 Reverend Lawrence Kelleher Timothy & June Kenny Cecelia Kobylarz Frank Kriegler Sr. Rose Marie Kujawa ‘66 Denise Kulas ‘83 & ‘89 Lakewood Shores Resort Laurel Manor Banquet & Conference Center Adam† & Christine ‘89 Lees Leonard & Geraldine LeFevre Arthur Lenaghan ‘74 Willard Lindley Lions Canton Club Lions Clawson Club Lions Fraser Club Lions Lake Orion Club Lions Novi Club Lions Plymouth Club Livonia Exchange Club Foundation, Inc. Livonia Rotary Club G. Michael & Kathleen ‘01 Loewe Daniel & Karen Longeway David Loveland His Eminence Adam Cardinal Maida Harris & Phoebe Mainster The June and Cecil McDole Charitable Fund John & Susan McMeel Reverend James McNulty Monsignor Stanley Milewski John & Mary Mitsch Sr. M. Virginis Musielewicz ‘60 M. Joan Nardi ‘51 Ernest & Florence Nolan Michael & Jo Obloy/Special Drill & Reamer/LGM Special Sales, Inc. MOTHER MARY DeSALES LIFETIME GIVING SOCIETY The Society is named after Mother Mary DeSales Tocki, who as Provincial Superior (19261938), was the founding chairperson of Madonna University. She used her experience and learning to plan, initiate and supervise construction of an architecturally beautiful convent for the Felician Sisters. Since 1937 that lovely landmark has become home to hundreds of postulants, novices, and professed sisters. She took constant care to nurture good religious vocations in a prayerful and positive atmosphere. Dedicated to improving the status of the Congregation, she creatively promoted educational enterprises that prepared sisters for service-oriented careers. The 320-acre Felician campus is home to the Felician Sisters Central Convent, Montessori School, Ladywood High School, Madonna University, St. Mary Mercy Hospital, Marywood Nursing Center, Angela Hospice, Senior Clergy Village. Through one-time gifts, a lifetime of giving, or through their estates, the following donors have made cumulative gifts to Madonna University in excess of $25,000. Scholarships offer direct support to students. In this report, we gratefully acknowledge those who have established the following endowed scholarships/funds and annual scholarships. We also appreciate those organizations that privately award scholarships for Madonna students. Elizabeth M. & Earl J. Demel William & Shirely (Dudek) Demmer Magdalene & Dominic Derkins Stella & Raymond Derkins DeRoy Testamentary Foundation Charles & Patricia Derry DTE/Detroit Edison Foundation Angelo DiPonio Margaret E. DiPonio - Criminal Justice Sr. M. Virgilia Dragowski, CSSF Patrick & Joan Duggan Family Susan Edwards Dr. Alan E. Eichman Doris Evelyn Eichman Cecily Farragher & John & Susan McMeel Felician Sisters/Msgr. Vincent Horkan Frank & Sophia Filipek Raymond T. & Emily Gapinski Gerontology Department/ Marilynn Goering Sr. M. Humilitas Gersztyn, CSSF Rev. William Gieranowski & Sr. M. Henrietta Gieranowski, CSSF Hilary L. & Beverly F. Gross Sr. M. Lauriana Gruszczynski, CSSF & Joseph, Sr. & Josephine Gruszczynski Family Kristen H Hallerman Mary Hart Tribute William Randolph Hearst Foundation Jeanne M. Hildebrandt Sr. M. Francilene Van de Vyver, CSSF/ Conrad N. Hilton Foundation William Hoff & Dr. Julienne Hoff Jennie Horowitz Dr. Lorraine i. Jakubielski in memory of William & Lottie Jakubielski Floyd R. Frances M. Kannberg Sr. M. Cleopha Kaptur, CSSF & Hon. Marcia C. Kaptur Charles & Frances Kazul Dr. Robert & Monika Kimball Rudolph & Evelyn Kleinert Knight Foundation, Inc. Knights of Columbus/Michigan State Council Carla L. Knudsen Richard & Betty Koch Theodore & Eleanor Konarski Sr. M. Hugoline Konkel, CSSF, Sr. M. Laurenta Konkel, CSSF & Paul & Anna Konkel Rev. Francis P. Kozlowski Sr. M. Paulette Krakowski, CSSF/Mary Anne Barczak L. Pat Kramek Family Nancy F. & Frank Kriegler Fred & Catherine Kubiak Sr. Hospicia Kubiak, CSSF & Rev. Edward J. Kubiak Anna & Stanley Kucharski Sr. M. Chester Kucharski, CSSF Francis & Anna Kujawa Rev. Zanos Gougoutas, Christopher and Drs. George & Bess Kypros Family Remie & Norma Laenen Dr. Bernard & Meta Landuyt Latinos de Livonia Donald and Denise L’Huillier Lions/Lioness Clubs/Districts of Michigan Livonia Jaycees Fund Livonia Symphony/Livonia Symphony Society, Inc.
Dr. Walter Knysz, Jr. Chairman of the Board, Great Expressions Dental Centers Sister Rose Marie Kujawa, CSSF President, Madonna University John Landis Managing Director, Financial Services, Talmer Bank and Trust Raymond Lozano Director, Racial Justice and Cultural Collaboration, New Detroit, Inc. James Lubawski COO & Ministry Designee, Felician Services Inc. Monsignor Jeffrey M. Monforton Rector/President, Sacred Heart Major Seminary Sister Mary Giovanni Monge, CSSF President/CEO, Angela Hospice Home Care, Inc.
Honorary Chair The Most Reverend John M. Quinn, Bishop, Diocese of Winona, Minn.
nce considered an at-risk African American male, Bryant George is now a Madonna University alumnus and an admissions officer recruiting students with backgrounds similar to his own. In high school, George received a Real Life 101 $4,000 scholarship, a laptop and a personal mentor to help guide him on his college journey. “I would not be where I am, today, if it weren’t for the Real Life 101 program and the support I received at Madonna,” George said. A criminal justice major, George earned certificates in private investigations, private security, and homeland security, as well as his bachelor’s degree in 2010. The first minority student to intern with a federal law enforcement agency, George served internships with the U.S. Marshal Service, The U.S. Secret Service, and the Bureau of Alcohol, Tobacco, Firearms and Explosives. The recipient of a basketball scholarship, George played basketball and ran cross country for Madonna, and with a 4.0 GPA his last two years, was inducted into two national honor societies, Chi Alpha Epsilon and Kappa Gamma Pi. Today, George works hard to give back to his Detroit community and Madonna University. He was instrumental in launching the Real Life 101 scholarship program at Madonna this fall. George is a mentor to four young men from Detroit who received Madonna scholarships, and laptops from Real Life 101 so they can pursuit degrees at Madonna. About Real Life 101 Over the past ten years, some 180 inner city, at risk males from four states have received laptop computers and $650,000 in scholarships to pursue a college degree. In 2006, 100 males from Detroit were afforded this opportunity and they were given a five-year timeline to complete their degree. The results were: • 16 out of 100 obtained a college degree in four years; and • Another 15 completed their college degree in the spring of 2011 George was a guest speaker at the 12th annual Real Life 101 award ceremony, where the four young men received their Madonna scholarship awards. Stedman Graham shared his thoughts on hard work and success with the more than 700 guests. Madonna Vice President Michael Kenney (left) and Real Life 101 Founder and CEO Sid Taylor, (back) along with Bryant George and Real Life 101 Vice President Glenn Stafford (far right) are pictured here with the 2011 Madonna scholarship recipients at the Real Life 101 awards. stablished in 1975, Madonna’s Sign Language Studies (SLS) program not only provides interpreting services for Deaf students on campus, but also prepares students who wish to pursue careers as interpreters or educators in the Deaf community. Students learn American Sign Language (ASL) side-by-side with Deaf students. When the program began, the Americans with Disabilities Act had yet to be enacted. Few colleges and universities were equipped to serve Deaf students. With highly-qualified faculty and a cadre of eager interpreters and note takers, Madonna University quickly became a premier institution for Deaf individuals seeking college degrees. Today, the Sign Language Studies program at Madonna remains the only bachelor’s degree program in SLS in Michigan, and the University continues to be known as a regional center for Deaf activity. ASL interpreters serve a key function in the lives of Michigan’s Deaf and hard of hearing populations, ensuring equal access to education, the work environment, hospitals, medical personnel, and the broader community. However, Michigan’s supply of ASL interpreters lags behind the current demand, while changes in state law and within the interpreting profession continue to widen the supply/demand gap. Recent reports indicate that Michigan only has enough qualified interpreters to meet about 50 percent of the need. This national trend is further complicated by the expectation that at least 22 percent of working interpreters plan to retire by 2017. Dan McDougall, ’86, director of the Sign Language Studies program. any job postings ask that only those with experience apply, yet how do you gain experience if you can’t get a job? This catch-22 is not new, but the current job market has made the problem worse, setting the bar even higher for new grads seeking employment. The solution for many is an internship. Madonna University journalism major Idamarie Tedesco recently completed her first internship with Channel 4 WDIV in Detroit and was offered a job at the station. “My internship at Channel 4 has been extremely rewarding and all hands-on,” Tedesco said. “I work in the programming department, and this allows me to see all the behind-the-scenes stuff when it comes to running a live news broadcast.” In her internship, Tedesco has been racking up experience; booking guests for appearances, brainstorming ideas for news segments, supplying props for the set, and helping with the casting for WDIV’s own version of The Biggest Loser. “I also transcribe news segments, log footage, go on news shoots with reporters, and was even asked to be part of a sales promo for NBC for their fall line-up,” she said. “I didn’t know if I’d be doing the typical ‘intern’ things I’d heard about; filing paperwork, making coffee, or picking up the boss’s lunch, she said. “This was certainly not that kind of internship.” Ingrid Kroeger, assistant director of career services at Madonna, helps place Madonna students in internships. She stressed how important internships can be in helping find work after graduation. “We see time and time again that our students’ first jobs are either at a place they interned, or in the same industry,” Kroeger said. The internship experience is so important to employers, that many Madonna programs, including biological and health sciences, require an internship before graduation. “We work with all of our students to find them internships because there is only so much we can do to prepare them for real work here. It’s not until they get into a real clinical situation that they can fully complete their training,” said James Wendt, director of health sciences. Wendt works tirelessly with several area hospitals to place his students, and while the decision on who to accept into the internships rests solely on the hospital, “all of the students that applied for internships last year were accepted into a clinical,” Wendt said. Internships are also a requirement for both the merchandising management and the hospitality management majors, said Kathleen Richard, director for both programs at Madonna. “Our students have interned all over — from Disney World in Florida to Nordstrom’s at Twelve Oaks and Somerset Mall. Internships are crucial in helping a student to secure full-time employment after graduation,” she said. Hospitality major Mathew Kempisty of Macomb Township has a non-traditional internship that is also his full-time job. He attends classes at Madonna’s Macomb location. Kempisty works at Sunrise Senior Living in Shelby Township, where he is the dining services coordinator for the community. labs, created videos in the studio, and dusted for fingerprints in the forensic science labs as well as participated in college readiness classes and outdoor activities. “We expose them to a lot of what college has to offer, while helping them understand that college is a goal well within their reach. We give them tips on what they can start doing to make sure they are on track to go to college, and we make sure they have fun while they’re here,” said Martinez. Part of a national agenda, the College Positive Communities grant includes initiatives that blend academics and co-curricular servicelearning projects. Pre-College programs include ACT preparation, scholarship essay writing days, residential overnights, college application workshops, college student panels, and interactive campus tours. year of existence — became the first ever Madonna program to advance to an NAIA Final Four. “We are incredibly excited to have our own soccer field,” commented Madonna University Athletic Director Bryan Rizzo. “Having started the men’s team in 1994 and the women’s in 1998, it is nice to have a place to call ‘home’. This will certainly add to the success of our programs as we move into the future. We are also extremely grateful to the University administration for supporting this project.” Head Men’s Soccer Coach Eric Scott echoed Rizzo’s comments, “The soccer field serves as a reminder of the hard work put in by the athletics administration, previous coaching staffs and, most importantly, the alumni of both soccer teams. The field provides current and future Madonna student-athletes the opportunity to train on a consistent surface. It means a lot for a player to have a home field and they are excited to play on it.” On the afternoon of Aug. 18, Madonna University administrators and members of the Athletics Department will host the official blessing of the field, followed by spirited soccer games. The public is encouraged to attend. Athletes Achieve Academic Accolades The Madonna Athletic Department proudly reported the following academic successes of Crusader scholar-athletes for the Fall 2011 semester. There were 12 who earned academic all-conference honors from the Wolverine-Hoosier Athletic Conference, while an additional 10 student-athletes were selected as National Association of Intercollegiate Athletics (NAIA) Daktronics Scholar-Athletes. In addition, a pair of Crusaders earned Capital One Academic AllAmerica honors as selected by the College Sports Information Directors of America. This award is one of the highest a studentathlete can earn during his or her career. Volleyball senior Karie Altman (biology) is Madonna’s first-ever Academic All-America first team selection, while soccer senior Diana Brda (psychology) was named to the second team. Top Left: Men’s soccer won the WHAC Tournament and advanced to the NAIA National Championship Tournament for the third time in the last five years.  Freshman Bianca Kubicki won the WHAC Women’s Cross Country Championship and is our first ever conference champion.  Women’s golf won the WHAC regular season championship and will host the spring championship . 1960s Camille (Czarnecki) Pavlak ’68 (medical technology) is an operations specialist/nurse educator for Detroit Receiving Hospital. At Madonna, Pavlak was one of five graduates in the program that year. She attended classes in the former Motherhouse, and every month they would have “mixers” (social dances) with other schools. “Attending Madonna was such a wonderful experience, and I have many fond memories of my time there,” said Pavlak. She plans to retire in November 2011, but work on a contract basis at the DMC. Pavlak is looking forward to spending winters in Little River, S.C. She and husband George have one son, David, and two grandchildren. 1970s Dr. Dan King ’73 (music and religious studies) was promoted from vice president for academic affairs to provost at Massachusetts School of Professional Psychology (MSPP). Prior to joining MSPP, he enjoyed a long and distinguished career as a college professor, dean, and vice president. He has acted as principal investigator for nine grant-funded projects totaling over $1.5 million, and served on the editorial boards of two journals: Educational Planning, and National Forum of Applied Educational Research Journal. Dr. Denise Korniewicz ’74 (nursing) was named dean of the University North Dakota College of Nursing. She has spent the last 20 years working in university administration and research. Prior to her work in academia, Korniewicz served as head nurse with the Army, specializing in critical care. Beatrice (Henderson) Dozier ’76 (nursing) has retired after 30 years as public health nurse supervisor and consultant for Detroit Public Health Department (DPHD. She worked full time and took evening classes at Madonna. “I was one of the older students in my classes, but never felt out of place.” said Dozier. She enjoys spending time with her family and being involved in church activities. She lives in Detroit near her three children and five grandchildren. Theresa (Taddonio) McFall ’78 (nursing) works as a nurse and education manager for Pennock Health Services, where she received the Pennock Professional Partner Award. The honor recognizes McFall’s dedication to excellence and demonstrated commitment to living out the Pennock core values, mission, and customer service principles. McFall also is an on-call nurse for Barry Community Hospice in Battle Creek, Mich.
1980s Joan (Adamczyk) Fitzgerald ’84 (mathematics) ’11 (master’s Catholic school leadership) was appointed principal of Ladywood Catholic High School in Livonia, Mich. Fitzgerald taught for 19 years at Gabriel Richard Catholic High School in Riverview, Mich., six of which she served as assistant principal. “I value the friendships I made with Madonna alumni and instructors, with whom I am still connected today,” said Fitzgerald. Karen Faricy ’86 (master’s administration) ’88 (master’s nursing administration) applies her skills as a nurse practitioner at Wayne State University Campus Health Center in Detroit, and has achieved tenure as an assistant professor at Mercy College. Some 20 years earlier, Faricy worked as a clinical nurse specialist in development and research at Henry Ford Hospital in Detroit. Faricy enjoys spending time with her family, especially her two grandchildren. Robert Stevenson ’86 (criminal justice) has been appointed executive director of the Michigan Association of Chiefs of Police. He retired as chief of police for the Livonia Police Department in September. He also teaches as an adjunct assistant professor in Madonna’s criminal justice program. 1990s Christopher Bouschet ’99 (management) is now account director for McGraw Wentworth, a group benefit consulting and brokerage firm, in Troy, Mich. He assists clients with processes and products to help them manage their group benefit programs. Prior to joining McGraw Wentworth, Bouschet worked as a new business sales consultant with Blue Cross Blue Shield of Michigan (BCBSM) for eleven years. Kathryn Cushman ’99 (criminal justice and sign language studies) is an attorney for Hickey, Cianciolo, Fishman and Finn in Troy, Mich. and one of only a few Michigan attorneys who can communicate in American Sign Language with deaf clients. While at Madonna she played basketball and her free throw and all-time scoring records still stand. “I am so thankful for the education I received at Madonna, the sign language studies program gave me the opportunity to provide legal services to the deaf community and represent the hearing impaired in the legal arena,” said Cushman. development (SBYD) organizations to promote sports as a solution for the critical issues facing our youth. Mulka found Up2Us through the AmeriCorps Volunteers in Service to America (VISTA) program. She is working on a master’s degree in liberal studies and leadership at Madonna. Dr. Helen Turkovich ’09 (master’s pastoral ministry) is hospice coordinator for McLaren Hospice’s inpatient hospice and palliative care department at Ingham Regional Medical Center in Lansing, Mich. Turkovich earned a doctorate in Ministry from Graduate Theological Foundation in South Bend, Ind. Currently she is completing her master’s degree in counseling at Siena Heights University. Turkovich’s husband, Al, is an ordained deacon for St James Catholic Community in Mason, Mich., where they teach Rite of Christian Initiation of Adults. She has eight children; and two grandchildren. is pursuing her master’s in biology, and plans to continue on for her doctorate. Denryter recently returned from Republic of Zambia, South Africa where she conducted field studies and volunteered in the villages. Melissa Lambrecht ’11 (master’s Catholic leadership studies) was named principal of Sacred Heart Catholic School in Dearborn, Mich. Lambrecht has taught for 17 years within the Archdiocese of Detroit. “Madonna prepared me for real world situations and to lead; skills that I use today,” she said. Alumni Chapters are groups based in specific geographic locations. The first step in forming a Chapter is deciding that you are willing to serve as a Chapter volunteer. Chapter volunteers organize local alumni and keep them connected to Madonna. Alumni Chapters hold social events such as cocktail parties, receptions for Madonna guest speakers, networking events, service activities, and outings to Madonna athletic events. The Alumni Office is ready to help you get involved. For information, call Carole Booms, director of alumni relations, at 800-852-4951 ext. 5811. Welcome Alumni & Friends! Take advantage of all Madonna University offers its alumni. Whether you want to stay connected by updating your contact info, purchase a spirit tassel or brick paver, or volunteer to help with a Madonna event, we’d love to see you. Next time you’re in the area, drop in and learn about these and other alumni benefits: Graduate School tuition discount Library & Computer Lab use Job listings and career assistance Alumni Scholarship for your children Access to alumni in the U.S. and abroad Beyond the Pond alumni news Networking events and more! Benefactor | Foundation Board Member Derrick Kuzak, known worldwide as group vice president of global product development for Ford Motor Company, has been instrumental to Ford’s success. He demonstrates the same tireless effort as a member of Madonna’s Foundation Board, helping achieve fundraising success for the University. Having passion for Madonna’s mission, and the fact that his daughter, Allison, is an alumna, are just a couple reasons Kuzak is so committed to Madonna. Kuzak said he supports Madonna University so that others have access to the same opportunity that his daughter and several family members before her were afforded — “an exceptional Catholic university education in an inclusive, supportive and diverse community that fosters intellectual ability and personal growth.” “This nurturing environment, with its unique combination of strong academics and strong Catholic values — including caring and service — were very important to my family as our daughter made her choice of university,” Kuzak said. “Madonna more than fulfilled her needs, and my wife and I could not be more proud of Allison as she continues in a career of service as a social worker.” “Over the course of my career I have found that a person’s values, such as integrity and a selfless commitment to the development of the team with which you work, can be as important to success as business and technical skills. Madonna instills these values along with a great education,” Kuzak said. CALENDAR OF EVENTS We’d love to see you on campus! For more information about these events, check out the calendar located under QuickLinks at madonna.edu, or call the number listed here. A $ indicates there is a fee for the event. 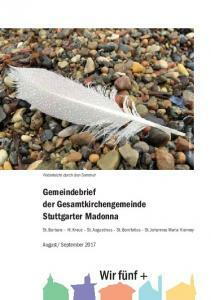 Report "MADONNA NOW CELEBRATING 75 YEARS PRESIDENT S REPORT The Magazine of Madonna University. Diamond Anniversary celebration!"